Home improvements and small renovations can go a long way when it comes to adding value to your property. 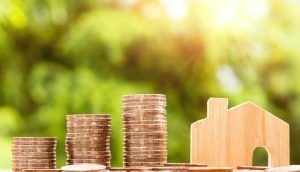 Although this can be debilitating to your wallet, to begin with, reading through our top tips on maximising your property value will return in your favour in the long-run and boost profit on your home as well as giving you a sense of pride in your beautiful new space. Maximising your space is a great starting point. Open-plan spaces are very appealing and create a beautiful, bright space. Knocking down a wall between your living room and kitchen will create a large and light area to enjoy. As well as being a great starting point, this would create a winning and relaxed environment, no more stressfully-made dinners in a cluttered and cramped setting, which would make living in this space so much more gratifying, also adding an extra 6% onto your property value. As mentioned in one of our previous blogs, there are plenty of fun ways you can fill this extra room. Perhaps a cosy cinema room? A space to work out and store your gym equipment? Or a lovely open area for the children to play. Converting your cellar can boost your properties value by up to 30%. If you already have a cellar within your property, you will not need to request any planning permission which cuts a few corners on cost and difficulty. A cellar is also one of the most economical options to improve your home and add property value. With a high guarantee that most attics can be converted, this would be another brilliant way to open up some more space and light into your home and increase the property value by 15%. If you are thinking of extending your family, or need a guest bedroom, a loft conversion would be a charming and beneficial feature to your home. You would be surprised that not every house has a downstairs bathroom, and the positive effect this could create by introducing one to your home. They are great for guests and makes life so much more convenient instead of traipsing up a set of stairs. Updating your bathroom will also contribute positively by adding property value to your home. So this is definitely worth the investment. Many garages are used for the sole purpose of throwing unwanted belongings into and used as storage space. If you are not using your garage beneficially for your car, why not utilise your space more by making a beautiful conversion of your garage? Space for guests or the option to create a house annexe? The possibilities are endless, and this again would be another great approach that will add value to your property.